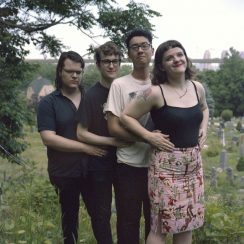 Go see Long Neck on Friday 3/3 at Foam Brewers! Instead of spending the next few months twisting your ankles in the snow and/or mud, hop in a carpool with friends to attend one of the many upcoming concerts in the Champlain Valley. Most of the concerts are in Burlington but we have included some within road trip distance! If you are interested in carpooling to any of these concerts, or want to see who else is going to the show, check out the WRMC Concert Rideshare 2017-18. This list will be updated as more concerts are announced throughout the spring, so as always, follow WRMC on Facebook and Twitter for updates. If you know of any concerts that should be added to the list, add them to the Rideshare spreadsheet!